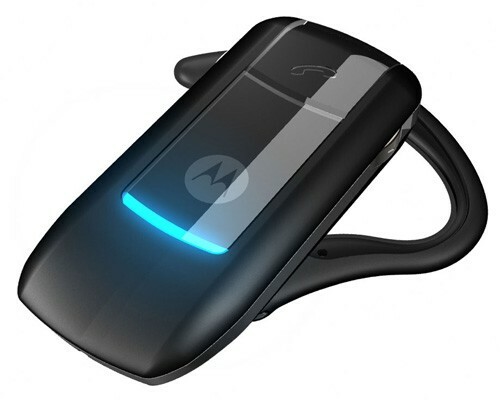 The Motorola RAZR H3 headset was designed specifically to complement the Motorola RAZR V3 mobile phone. Complete with superior audio quality, unbeatable battery time and an ergonomic design, the Motorola RAZR H3 promises to keep all your communication needs at your fingertips. A perfect companion for the ultra thin Motorola RAZR V3 or any other Bluetooth enabled mobile phones. Focusing on fashion, form and function, the ergonomic Motorola RAZR H3 provides an enhanced ear seal for superior audio performance and comfortable wear over extended periods. For added user convenience, it can be worn on either ear, with volume-orientation technology, you can make sure that the controls are always upright. The headset’s omni-directional microphone ensures your voice is clearly heard. Managing the office, planning a family function or simply having a conversation just became easier. Equipped with one intuitive call button, the Motorola RAZR H3 lets users place, receive and end calls with the touch of a button. Don’t want to be interrupted? A vivid blue LED light provides a visual cue that you are on a call, with a "discreet" option to turn the light off. Don’t let this little light-weight fool you, the Motorola RAZR H3 headset featurs eight hours of talk time or 150 hours of standby time from a single charge. You can even use H3 to pair with your Bluetooth enabled PC for handsfree Voice over IP (VoIP) use.